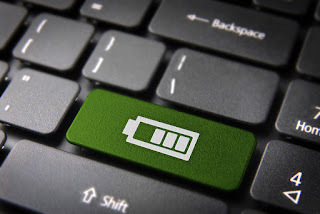 We have all been in that position where our laptop battery starts to malfunction; that moment when a 10-hour battery life device depreciates to serving you for one hour or less. Insight from the Research and Development Unit of Yudala, Nigeria’s fastest growing composite e-commerce outfit, shows that while laptop batteries often depreciate with constant use over time, misuse or wrong usage often leads to this happening within a short period of time and at a time when you should still be deriving optimum utility from your laptop battery. Laptop batteries are usually made from lithium-ion: a lightweight, high-power battery often used in computers and mobile phones. Lithium-ion batteries come in various shapes, although a flat rectangle is most common in smartphones. It is lighter than the nickel cadmium battery and the nickel metal-hydride battery, thus accounting for its lightweight nature. Lithium-ion batteries work by the movement of lithium ions through a membrane and are clearly different from lithium batteries. Whereas lithium batteries contain lithium metal and are not rechargeable, lithium-ion batteries do not contain lithium metal and are rechargeable. However, lithium-ion batteries do not last forever. Each lithium-ion battery will have an average of 600 charge cycles and will work optimally for about 4-5 years without a drastic depreciation on battery life. Hence, your laptop battery should serve you well for at least 3-4 years depending on how frequently you use the device and recharge the battery. Research shows that frequent travelers only get a couple of years out of their laptop battery because they tend to charge intermittently and keep their laptop unplugged when on the move which kills the laptop battery faster. 1.Avoid putting your laptop on soft surfaces: It is easy to place your laptop on your thighs or bed while working at home or during your rest time. Many of us are guilty of this. However, if you need your battery to last long or have a stronger life span, it is advisable to place the device on hard surfaces such as tables or desks in order to avoid over-heating. Research has shown that heat is one of the biggest obstacles to your battery’s longevity because your laptop fan can’t circulate air properly when your laptop is placed on a soft surface. 2.Be careful how you store your laptop battery: This cannot be over-emphasized. It is advisable to store your laptop in a cool place with less heat. This tip is directed especially at people who keep their laptops in their cars where it can get really hot when it’s sunny. Laptop batteries do not work well with heat and might stop working if exposed to excessive humidity. Research shows that, if a stored battery is not charged, it starts to lose it energy and might get damaged. Also, for travelers who leave their laptops behind, it is advisable to store your battery with a 40 - 60% charge instead of a full charge. Study shows that fully charged batteries depreciate faster than half-charged batteries. 3.Do not leave your laptop dead before plugging it in: There is said to be a problem called ‘battery memory’ which, cause batteries to ‘forget’ their full charge capacity and start charging at lower levels; charging to 100% and discharging to 0%. Current research indicates that this problem doesn’t exist anymore and we have the modern lithium-ion battery to thank for that. It is important to point out that the problem here is not over-charging your laptop, which makes us believe that letting your battery charge more than 100 percent will make the battery wear out faster. A research study by Battery University shows that, modern devices are designed to stop charging at 100 per cent hence, keeping them plugged in doesn’t impact the battery’s lifespan. However, a lot of us wait until our laptop dies before we plug it in, which isn’t good for our battery. You should avoid letting your battery drain and discharge below 20 per cent, else, it would reduce the charging capacity of your battery. 4.Show your laptop some love: This starts with your battery. Your battery is the powerhouse of your laptop. Abandoning your laptop battery and just letting it do its job without paying much attention to it won’t cut it. Make sure to take care of the battery contact points; the battery contact connects the battery to the laptop. If the contact point gets dirty or damaged, it may reduce or disrupt the flow of power to the laptop. If you have a removable battery, you can carefully wipe your battery with a soft cloth to get rid of dust. However, you have nothing to worry about if your laptop battery is sealed. 5.Update your laptop: As underrated as this may sound, an outdated hardware may reduce the performance of your laptop thereby affecting the laptop battery. The cells in laptop batteries degrade over time, and it is totally normal for old laptop batteries to hold charge less than an hour. Current laptops can achieve up to 10 hours of standard usage because of the software that comes with the perk of a new laptop. Henceforth, upgrading your laptop hardware will significantly improve your laptop battery life.